G-Shock Athlete, Pedro Barros who is known for his power, style fearlessly destroys transition, whether pools, pipes or parks with epic speed. The MegaRamp® at Woodward West, located in the mountains of Tehachapi, CA, set the stage for a first-ever nighttime video shoot. 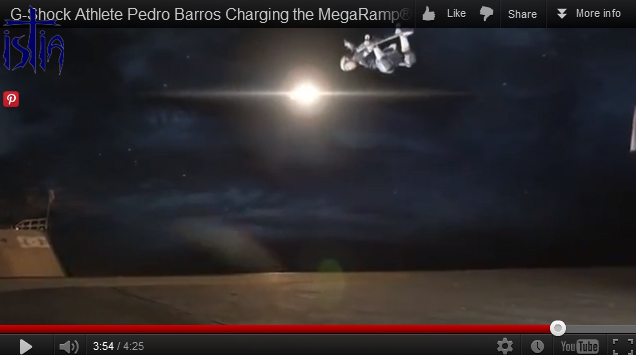 As the sun begins to set, Pedro, drops-in full speed again and again, charging the MegaRamp® without reservation and without fear.